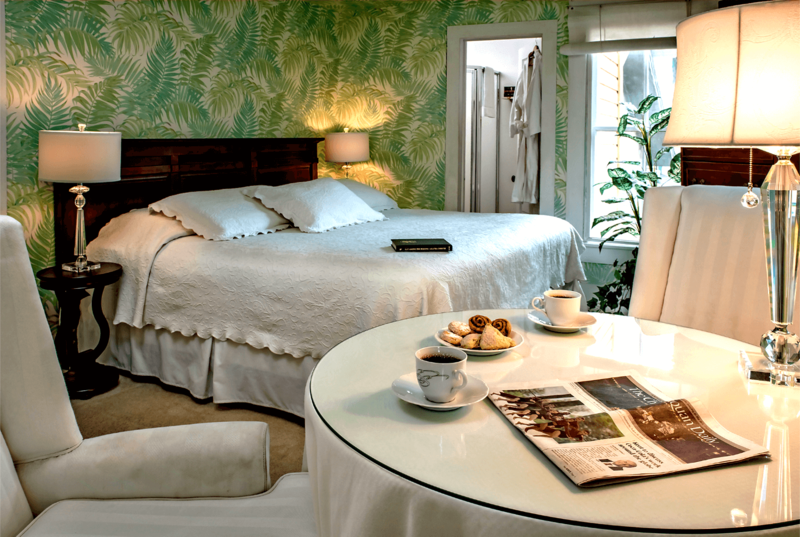 Better known as The Spencer’s Honeymoon Suite, guests are taken in by the gorgeous tropical green and white colors and the corner jacuzzi for two while staying in the Agatha Christie Suite. ‘The Mysterious Affair at Styles‘ introduced the world to Hercule Poirot, one of the most famous of all names in detective fiction. Persistence, as well as her ingenious plots, made Agatha Christie the foremost writer of detective novels in the 20th century. There followed about 75 successful novels, 25 featuring Poirot. Her other famous detective, Miss Jane Marple, first appeared in ‘Murder at the Vicarage‘ (1930). 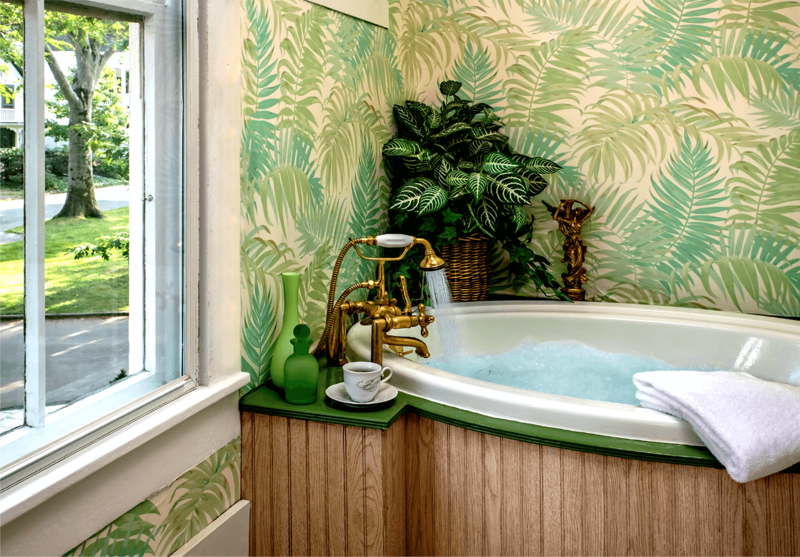 Jacuzzi tub with a European hand-held shower, and a full bathroom with a neo-angle shower.